This is likely one of my favorite hats that I am sending to Kenya. I found a great pattern for this hat on the Close Knit Blog. I have fallen in love with this pattern and I definitely see a dishcloth made using this stitch pattern in the near future. I used left over yarn from the blanket I made (here). 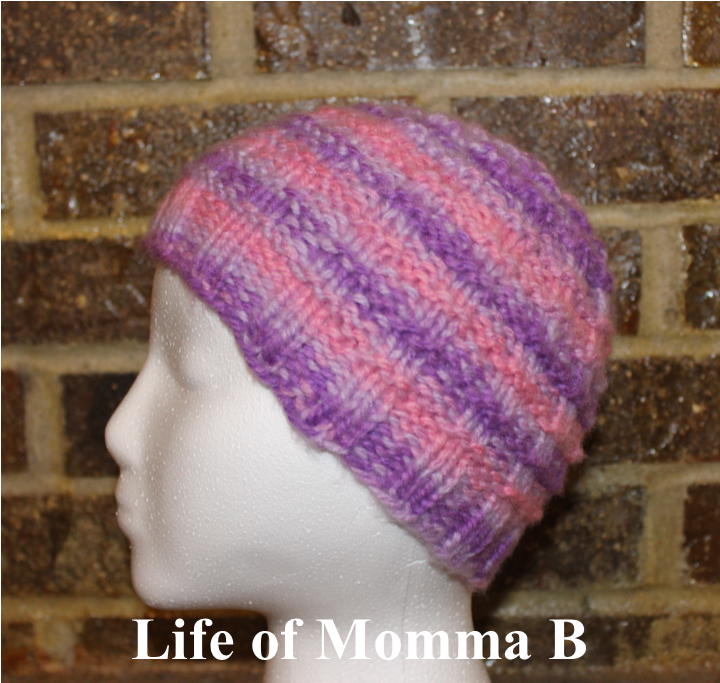 The bulky yarn has created a great warm hat with great texture. If you would like the pattern it can be found here. 1 Response to Waffles Anyone?